vinyl out guides are flexible enough for easy handling, yet resist cracking and tearing. Double sided "OUT" tab extends beyond the folder for easy access. 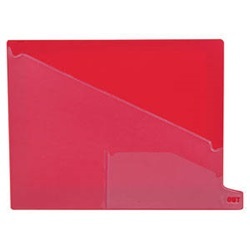 Clear vinyl pocket holds charge-out slips. 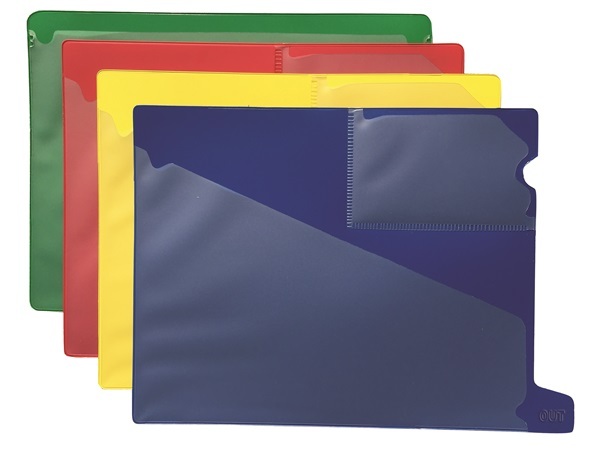 Heavy duty out guides feature large tabs, a rigid vinyl back and stress contours on pockets to provide added strength and durability for frequent handling. Call to inquire about other available colors.